This little booklet is ideal for people who want to better understand their decision to follow Jesus and are looking for their next steps on the path of discipleship. 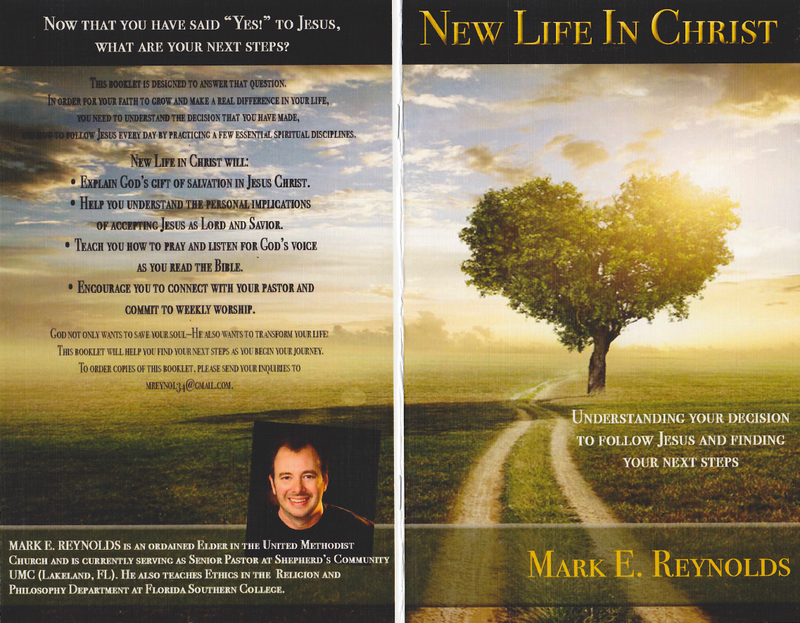 For more information, a sample copy, or to place orders, contact Pastor Mark: revmarkreynolds@gmail.com. –Dr Steve Harper, Retired Professor of Spiritual Formation and Elder in The United Methodist Church. Thank you for your kind words! I’ve been swamped with teaching responsibilities the last several weeks, But I’ll be writing and posting again soon.